You are dreaming of fishing with a fly and the secretive world of wild rivers is intriguing you, come and let yourself be tempted to discover the magic of the clear waters of the Monts d’Arrée in Finistère, Brittany. 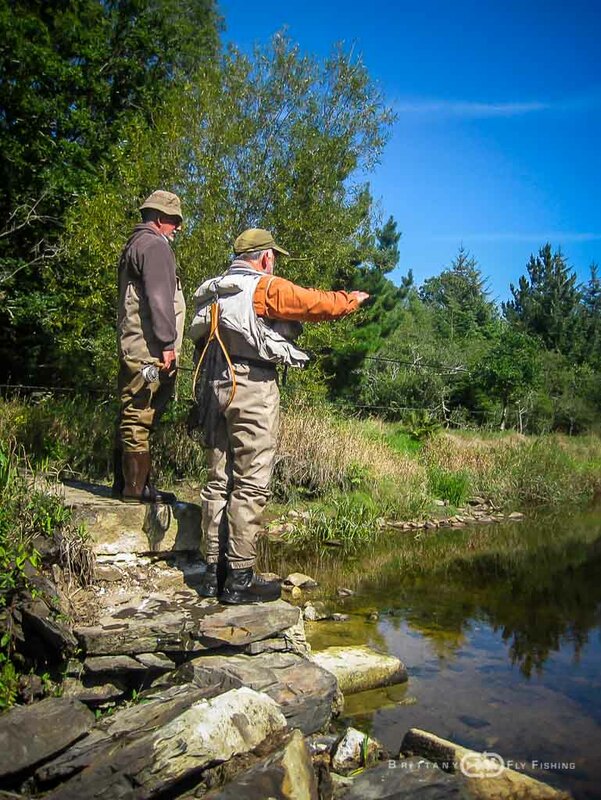 Guiding and advanced classes fishing the most beautiful and pristine rivers in northern Brittany for trout, salmon and shad. Boat fishing using an original Irish Sheelin drift boat on the regional lakes located in the Monts d’Arrée for trout and pike. Sea bass fishing in the bay of Morlaix and Roadstead of Brest from a custom-made fly fishing boat. Drennec lake , located in the heart of the Monts d’Arrée, in the French Département of Finistère, classified as “Grand Lac Intérieur” – large inland lake , is open for fly anglers from early March to October 31st. On board his 19-foot Sheelin drift boat, Philippe Dolivet, licensed fishing guide and specialized in “loch style” boat fly fishing, will teach you the finer points of this thrilling angling method, fishing for the superb trout Drennec lake has on offer: both wild brown trout as well as feral rainbow trout are available. Beginner’s and advanced classes will be available, for individuals as well as groups of anglers. coastline of the Finistère. It represents a unique concept with upscale service for an unforgettable experience.